On March 18, Yemen will hold its much awaited and much anticipated National Dialogue Conference (NDC) entering the second and probably most sensitive phase of its transition of power as per enounced by the GCC brokered initiative (signed by deposed President Ali Abdullah Saleh and member of the Opposition in Riyadh in November 2011). A long time in the making Yemen NDC will face an uphill battle trying to conciliate and reconcile the nation many warring factions and groups, seeking to mend bridges after decades of festering recriminations against the central government. 2011 Revolution laid bare the country many issues by unraveling its political, economic and social make up to the point Yemen as a country faced implosion. Now all hopes are pinned on the ability of the NDC and its attendees to find a compromise which all parties will find acceptable in order to preserve Yemen territorial integrity and the survival of its republican institutions. Vested with Yemen's future, the NDC agenda will cover matters ranging from the southern issue and the Houthi rebellion to the drafting of a new constitution (once the NSC will conclude its work the transition government will appoint a special committee which will be put in charge of translating all agreed change and integrate them within the constitution). 	The process for formulating the constitution including the creation of a committee for this purpose and determining the number of its members. 	Constitutional reform; repair of government structure and political system; and proposing constitutional amendments to the Yemeni people in a referendum. 	The southern issue; develop a fair national solution which maintains unity, stability and security for Yemen. 	Various national issues that impact the country including the reasons for tension in Sa'ada. 	Steps toward building a complete democratic system, including reform of civil service, justice [system] and local administration. 	Achieving national reconciliation through transitional justice and development of necessary procedures to avoid violations to human rights and laws in the future. 	Enhancing protection of rights of vulnerable and under-represented populations such as women and children. 	Defining priorities related to sustainable construction; economic and social development programs to provide better work opportunities; and economic, social and cultural services for society. It is important to note that the power transfer agreement does not provision for how the NDC will chose to conduct its business as well as whether decisions will be taken through consensus or majority. With six months to answer all of Yemen thorny issues, NDC task is by any standard titanic. 	Al-Harak aka the Southern Secessionist Movement; a coalition of southern factions seeking to gain a greater level of independence from Sana'a. Some of the more radical factions are advocating secession instead of federalism. Al-Harak was awarded 85 seats by the Technical Committee in charge of preparing the NDC. Among others, former South Yemen President Ali salem al-Baidh will attend, as well as Mohammad Ali Ahmad, Abdullah Al Asnaj and Lutfi Shatara. 	The General People's Congress aka former ruling party; which is still headed by deposed President Ali Abdullah Saleh despite call for his retirement from public life. The GPC was awarded 112 seats at the conference as despite its fall from grace still holds the majority at Parliament and remains Yemen's main political faction. 	Al-Islah, Yemen Islamic political faction, which was funded by late Sheikh Abdullah bin Hussein al-Ahmar, tribal leader of the Hashid Confederation of tribes as a counter-weight to then-President Saleh's GPC will count 50 representative at the NDC. Sheikh Hamid al-Ahmar announce on Saturday his withdrawal of the conference in reaction to what he beleives to be a lack of fair representation of some of Yemen minority groups, Youth, the people of Sa'ada and women. 	The Houthis, Shiite rebel group led by Sheikh Abdel-Malek al-Houthi. The group which ideology is aligned with that of Iran in regards to its rejection of the West and the State of Israel was granted 35 seats. The Houthi swhich fought the central government led by then-President Saleh in 2004 in what is known as the Sa'ada War have asserted their actions always have been for the defense of their community from the government and discrimination. In turn the Yemeni government has accused the group of wishing to bring down the Republican to institute a return to the rule of the Imams (a monarchy system based on Shia religious law) and stir anti-American sentiment. Over the past few months, the Yemeni government has accused the Houthis of doing Tehran bidding in Yemen, playing into Iran regional political agenda against Yemen national interests. The Houthis always rejected any wrong doings, alleging Sana'a was running a Shia witch hunt to please its regional partner, Saudi Arabia. 	Independent Youth groups, who brought down through former President Saleh dictatorship through a peaceful revolutionary movement were awarded 40 seats, which will be spread out evenly in between the various denominations the group is formed of. 	Women's organizations and civil society groups will also be represented by 40 of their leaders. 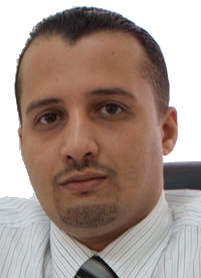 	The Yemeni Socialist Party, headed by Yasin Noman was allocated 37 seats. The YSP was South Yemen former ruling party. 	Yemen Baath party will hold 20 seats alongside five other small political denominations. 	The pan-Arab Unionist Popular Nasserite Organization will be represented by 30 seats at the conference. 	Al-Rashad party, Yemen newly formed Salafi party was granted seven seats. The newly-established party seeks to install Islamic Shariah law in the country's political system and counts prominent Salafi leaders for founders, Abdel-Wahab al-Humaiqani and Sheikh Mohamed al-Baidani. 	The Liberal Justice and Construction party headed and funded by Sheikh Mohammed Abu-Lohoom will account for 7 of the seats at the NDC. 	Finally President Abdo Rabbo Mansour Hadi reserved 62 seats for some of Yemen most prominent tribal, religious and representative of religious minorities, including the Jews of Yemen who after a mass exodus to Israel have almost but disappeared from Yemen. Beyond the the very thorny southern issue, Yemen NDC will have to deal with the Houthis calls for reparations for the abuses and violations committed by the military in 2004 against Saa'da civilian population. Given all main actors of Sa'ada war will directly facing each other at the conference, attendees will have to operate with much care while navigating political and ideological sensitivities as to find a common ground on which to build on. Deposed President Saleh, might himself prove to be a difficult player to out maneuver as his political reach, although far from being what it used to at the height of his power years, still benefit from much popular support across the country as well as political alliances. So far President Hadi's attempts to seclude the veteran politician through a clever web of threats and concessions all backed up by the international community proved unsuccessful in reigning down Saleh's ambitions in playing a role in Yemen post-revolution era. Moreover, Youth revolutionaries who feel they were somewhat pushed aside by the transition government will most certainly sough to push their own agenda forward, potentially seeking to ally themselves with other factions or groups they feel will be more incline to listen to their grievances. And although the Youth is not an issue per se they do represent the wild card of the NDC, as its representatives' anger could translate again into widespread protests. With no alternative to Yemen's ailments, the NDC remains the nation's only hope. With the stakes being so high with regional stability standing in the balance many in and out of Yemen are now holding their breath awaiting to see whether will navigate through such troubled water without its rival elites seeking to sink the national ship.